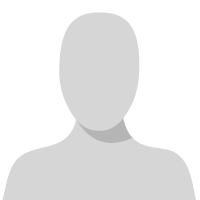 Our accountant wants to know if there is a way to print remittances to PDF individually instead of one large file? There is not, are you trying to email the remittances or...? 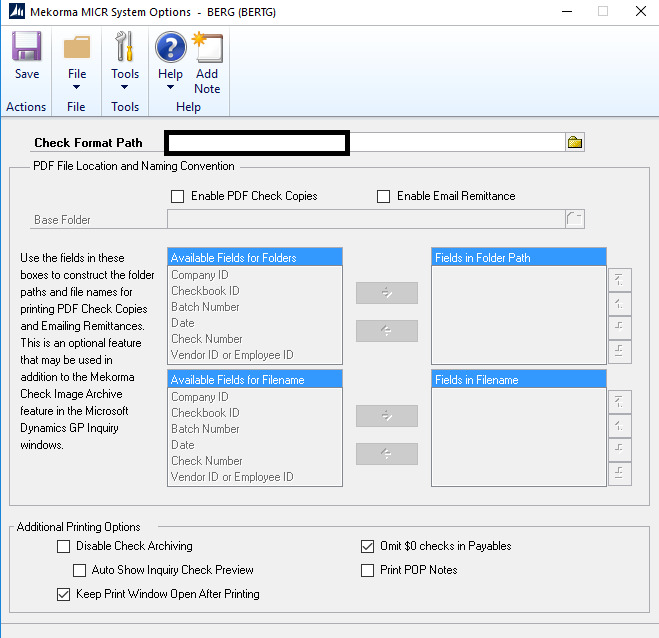 If you are using Mekorma MICR you can set it to save a pdf copy of each check. You would check the Enable PDF Check Copies. Bert, is that only saving the check images when you have an actual check run, versus EFT? Mekorma MICR provides the option to email EFTs to vendors in PDF format and/or to generate automatic PDF copies of posted checks. Both of these options include the ability to specify the folder location and naming convention of the PDF. If either or both Enable PDF Check Copies and Enable Email Remittance options are selected, all PDFs are generated in the folder location specified in the Base Folder field. If only Enable Email Remittance is selected, the folder and file configuration is used to generate a PDF for the email. If Enable PDF Check Copies is unchecked, the EFT PDF is deleted from the folder after the email is sent to the vendor. If Enable PDF Check Copies is checked, EFT Remittance PDF remains in the folder location after a copy is emailed to the vendor. You can add subfolders using the options in the Availabe Fields for Folder Name section. The PDF is given the file naming convention specified in the Available Fields for File Name section. Awesome, thanks Beat! I really wish Mekorma would clean up some of their terminology. I try to setup the remittance advice with a Word Doc. but the system give me a error.
" You must activate Word Template functionality to send". I not found where i need to do that.? You do not mention the version you are on, but I am on GP2015R2. We print all remittances for every check run. We print to a Remittance-File. Then if I have any checks that need a paper remittance, we print those. The print dialog box allows us to select a printer real-time. Instead of a physical printer we could select 'Microsoft Print to PDF' or 'Adobe Printer'.